Enjoy reading and share 1 famous quotes about Looking Forward To Monday with everyone. “CUSTOMER: I'd love to write a book. BOOKSELLER: Then you should write one. CUSTOMER: I really don't have the time. 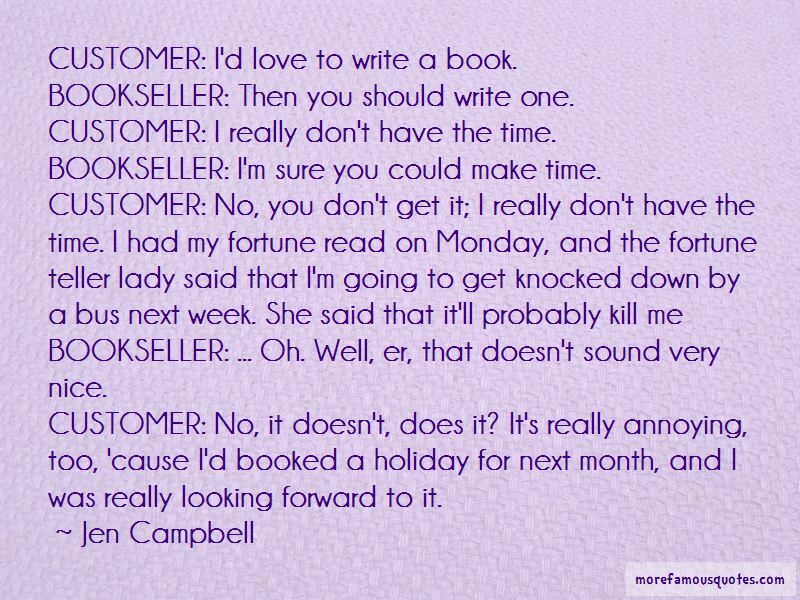 BOOKSELLER: I'm sure you could make time. BOOKSELLER: ... Oh. Well, er, that doesn't sound very nice. Want to see more pictures of Looking Forward To Monday quotes? Click on image of Looking Forward To Monday quotes to view full size.